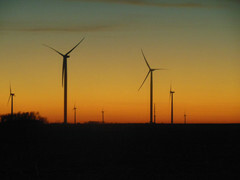 Community Wind South was acquired by juwi Wind, LLC as a mid-stage development asset in late 2011. juwi provided project equity and secured the necessary debt financing to complete development, procure turbines, and construct the project. The project was fully commissioned and online in December 2012 at which time juwi became the operator of the energy asset alongside a minority equity investment opportunity offered to MN residents. juwi is still a minority owner of the project, with a BlackRock-managed fund owning a majority of the equity in the project. The project’s energy is being sold to Xcel Energy Inc. under a 20-year power purchase agreement. This project represents juwi’s first North American asset to undertake the construction and operations phases of a wind project.